This station introduces students to storm-water management and conservation issues, by transforming an existing slope into a series of bio-filtration systems, such as swales and channels. These water-management components are designed to introduce the students to the Chollas Watershed system and its importance in the environmental health of the larger region, as well as and its symbolic meaning in Kumeyaay cultural traditions, to inspire new environmental practices and technologies. This exhibit contains three main environments, the Chollas Water Station, the Kumeyaay Ethnobotanical Garden, and the Kumeyaay Rock-Drop Caves. This exhibit includes a system of slides that are embedded into the slope, made of diverse materials for children, materials and water to move down the hill. Students test how sand, soil, pebbles slide across slope, measuring steepness, friction, width, shape, and velocity across inclined planes. 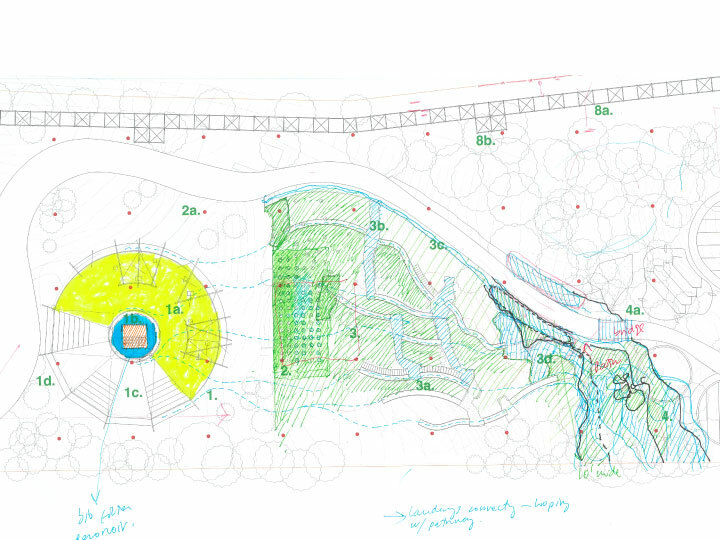 The main design feature here is that the slides are organized to resonate the shape of the actual Chollas watershed. The students traverse them guided by maps and narratives, learning to read cartographic information, understanding contours and how water moves across, from bio-filter, to channel, to swale, to wetland. 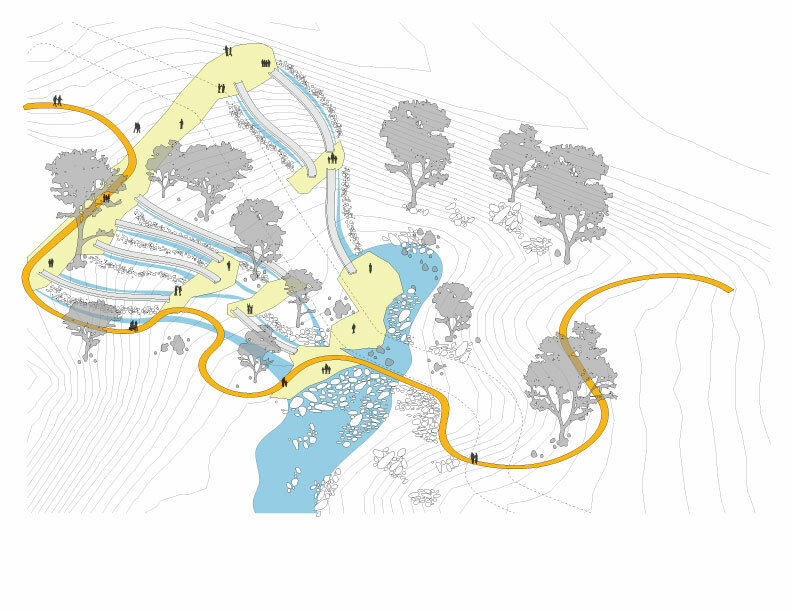 As the slides descend along the slope, they intersect trails and the ADA pathways. 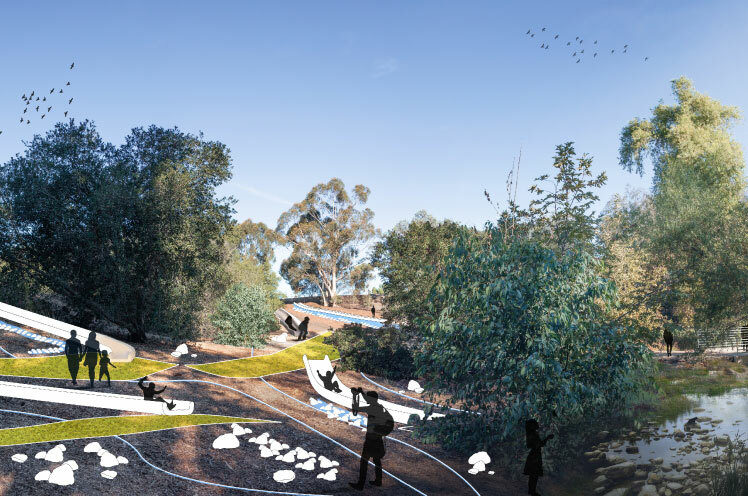 These linear circulation and water systems, made of swales and channels intertwine along gentle terraces with small ethnobotanical gardens to illustrate to children the meaning of native vegetation in Kumeyaay traditions, as well as the landscape’s utility in shaping local culture and economy. The design features of this water exhibit also include a series of artificial caves which intersect the water systems. These caves take the shape of small interior rooms for children to experience cultural narratives of the Chollas Creek, its historical importance to indigenous cultures and the symbolic role of water in Kumeyaay mythologies. 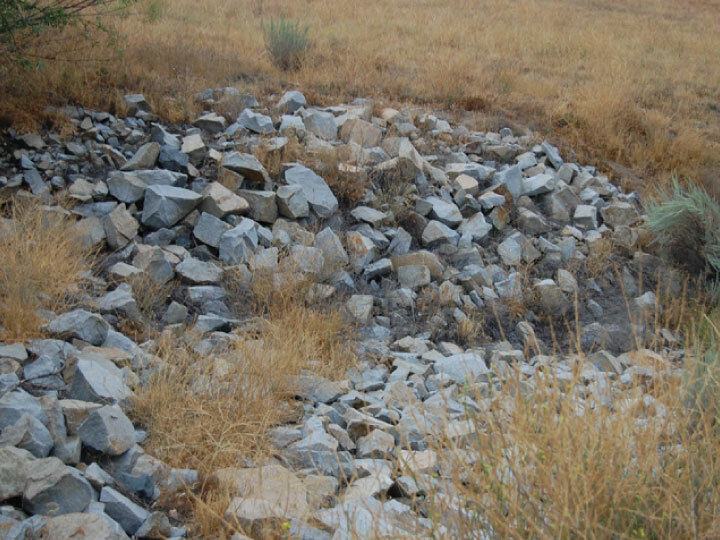 As the trails, swales, channels and slides reach the creek at the lowest elevation of the water zone (the creek), the design of this environment includes a Kumeyaay inspired ‘Rock-Drop’ exhibit, to illustrate how indigenous practices tackled erosion by restoring and enhancing wetlands with rock redistribution and landscape design.